The fight between Puerto Peñasco hometown pride super flyweight boxer Juan Francisco “Gallo” Estrada vs. Carlos “El Príncipe” Cuadras on Saturday night in Carson, CA caused tremendous expectations as both have held world championship titles, and Gallito in particular was setting up for a rematch against Nicaragua’s Román “Chocolatito” Gonzalez. The winner of Saturday’s bout is to go on to challenge the winner of the bout between “Chocolatito” vs. WBC super flyweight title holder Srisaket Sor Rungvisai of Thailand, which came right after the Gallo – Cuadras match up. At the beginning of the fight, Cuadras of Sinaloa came out with everything, throwing punches at an intense rhythm, and quite possibly taking the first three rounds. El Gallo, in maintaining his pure technique, little by little countered the Cuadras attack by showing off his tremendous physical condition and stamina, and at one point knocking Cuadras to the floor. Gallo closed out the night by winning the bout 114-113 via unanimous decision! 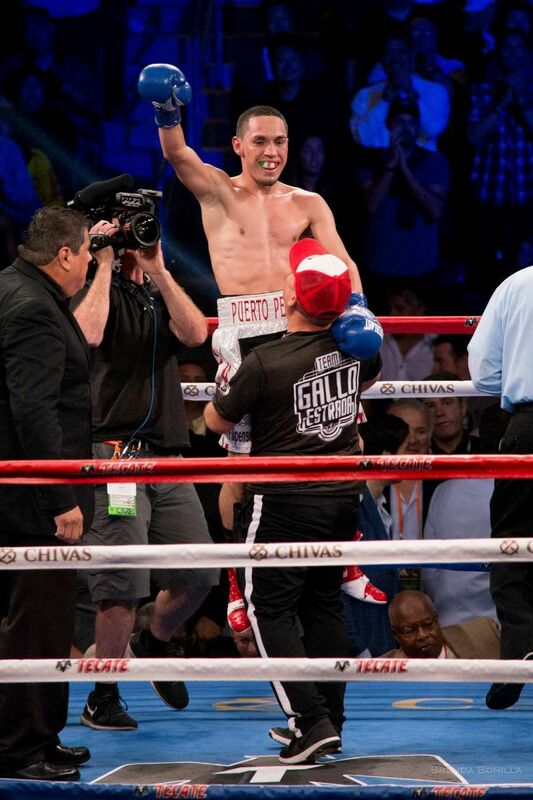 A strange and visibly frustrating twist to the night was made when official announcer Michael Buffer erred in initially stating Carlos had won – though after review of the judges’ cards the rightful winner, El GALLO ESTRADA, was celebrated. In an even more curious twist to what had been expected to be a path to a rematch between Puerto Peñasco’s Gallito and Chocolatito González, Chocolatito went down in the 4th round via K.O. to Thailand’s Sor Rungvisai and still WBC super flyweight champion.